They seem innocent but they are not. Let's face it: the standard baby commercial powders contain ingredients that are dangerous to any type of skin, such as talcum powder. Over the past 20 years, studies have been conducted in order to link the talc to lung and ovarian cancer, but have not yet reached the question of how safe it is to use it. Until the 1970s, talcum powder contained asbestos, a component that has been banned but still, commercial baby powder is not yet 100% safe as the International Cancer Organization states that "vaginal use of asbestos-free talc is likely carcinogenic to humans “. Another huge reason to make your own baby powder is that babies inhale small amounts of powder in the air, during its application. When inhaled, the talcum dehydrates the mucous membranes by affecting the baby's breathing, causing severe lung problems, from simple breathing difficulties to sudden death. Do you still want to use commercial baby powder even if half of what I wrote to you is true? Pass the powders through a sieve, add the essential oils or the cosmetic scent and mix thoroughly with a stainless whisk. 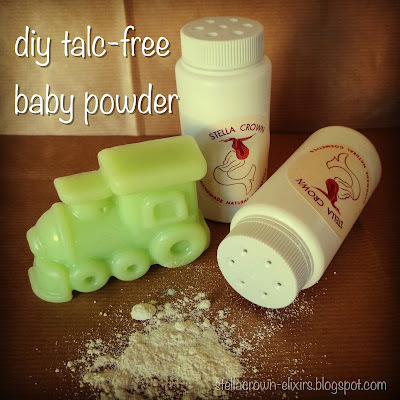 Store the baby powder in a talc jar or in a jar for spices whose lid already has holes. The arrowroot powder is the most suitable ingredient to replace talcum powder. It is an amyloid component that is absorbent, cleansing and gives softness. Corn starch softens and relieves pains, irritations and scratches from the diaper. 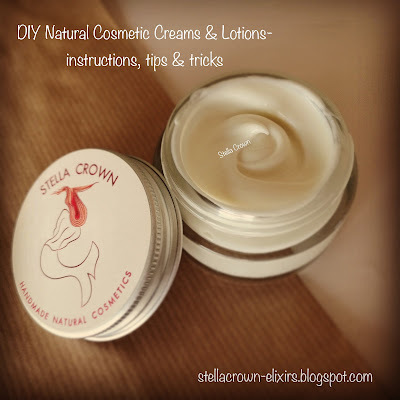 White clay is ideal for sensitive skin. It has antibacterial activity and treats skin irritations. Chamomile is healing and anti-inflammatory, while lavender is antiseptic and soothing.